We have always been scared about our mobiles and computers getting hacked. Now it is time to know that there will be a time in the near future where people can easily hack cars. The car designs are becoming more and more sophisticated and you can also notice the change of simple mechanical automobile designs to a sophisticated network which includes almost 70 computers, collectively called Electronic control Units (ECU’s). All these computers are connected to each other and also to the internet. Through these inter-connections, the car becomes a small data center that can be affected by many types of digital hacks similar to that of a mobile and computer. Some of the most common hazards are viruses, denial of services and so on. The Electronic Control Units can manage most of the real time systems of cars like the steering, infotainment console, all lights, ignition, and crash bags and so on. For this to work softwareâ€™s are developed that has millions of lines coded to make the ECU do a specific operation at a specific time. As the networks can be shared through long distances, more common gadgets like GPS and MP3 players can be easily controlled. But, there may arise technical difficulties when some nonessential components and infotainment share the same network with the brakes, steering and other main devices. So how can all this be useful to a hacker? He can easily open the car lock and start the vehicle from a distance with the help of a cell phone and get inside the car and drive away. A similar test was done by two professors named Stefan Savage and Tadayoshi Kohno at the National Academies Committee on Electronic Vehicle Controls and Unintended Acceleration. They inserted malicious software inside the car’s software system using its Bluetooth and mobile phone connections. Thus it is time to implement counter safety measures from these unethical hacks. Or else, the wireless communication will be easily jammed, relayed or even broke down. The counter safety measures are already being studied by the E-Safety Vehicle Intrusion Protected Applications (EVITA) project headed by Olaf Henniger, a researcher at Fraunhofer Institute for Secure Information Technology – Germany. The main aim behind the project is to more secure onboard networks in cars. Apart from this special methods are being developed to protect the vehicle to vehicle and vehicle to infrastructure communication so that accidents can be avoided. Many prototypes have already been developed but have turned out to be very expensive. Some companies like Ford have already installed their own security measures that were developed by Microsoft. According to them, their car is safe enough from all alien network attacks. They have installed special firewall that can withstand any type of hacking. There are various mobile applications that are available in the internet with which the car ignition can be remotely started. Also other functions like steering control, infotainment network control, and also door unlock control can easily be obtained. 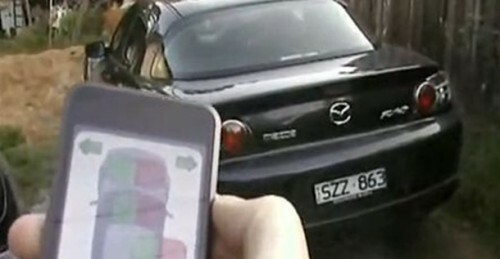 The mobile becomes paired with the car through Bluetooth. If a person is able to get control of the phone (perhaps through a virus downloaded from the Web), that person might then be able to gain access to the vehicle to which the phone is paired.